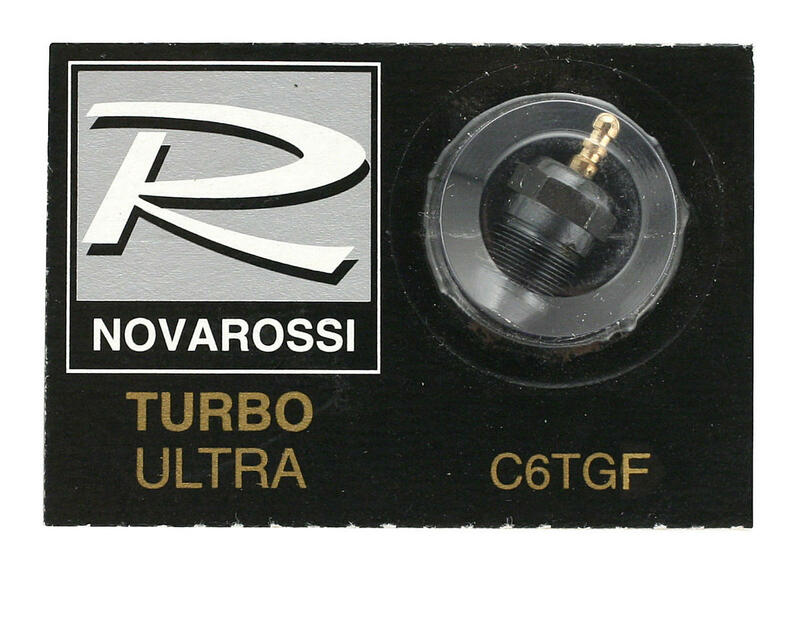 This is one Novarossi #6 short body "Ultra" Turbo glow plug. This is a medium glow plug intended for use in .21 race engines with high nitro content fuels. The "Ultra" line of plugs from Novarossi are different from regular plugs in that the hole where the filament is located is slightly larger in diameter, and the glow plug element has a special coating. The new coating is intended to make the plug be more durable, while the larger diameter hole is designed to improve the idle and throttle response of the engine. The difference between the TC (Long Body) and TF (Short Body) glow plugs is based on the size of the hole that glow plug filament is located in. The Long Body plugs have a slightly larger hole which results in a slightly hotter glow plug element. However there is not a lot of difference between a TC and TF glow plug and you can use them interchangeably.